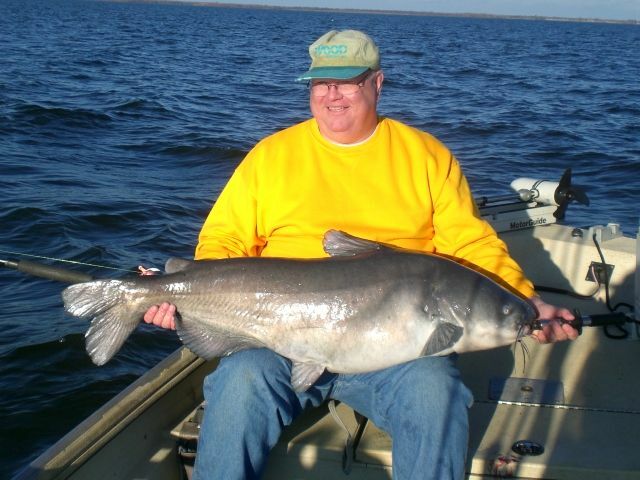 Jackie Kennedy specializes Trophy Blue Catfish at Cedar Creek Lake. Jackie will do everything in his power to put you on some fish and ensure you have a great trip. 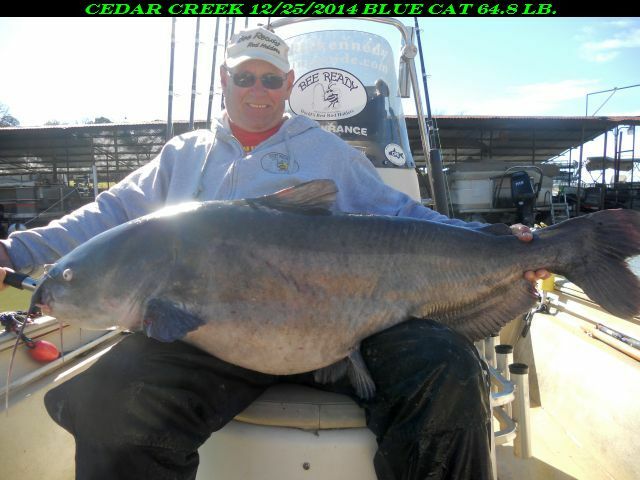 Christmas day 2014 fishing Cedar Creek Lake I caught this nice blue cat that went 64.8 pounds and is the the new lake record by weight and also the catch and release record.